I saw an image of this car and just had to find out more. 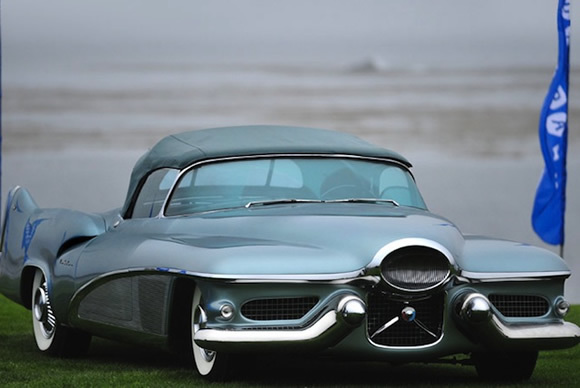 It was designed in Harley J. Earl's studio and took styling cues from jet fighter planes. The was actually used as a daily driver by Harley Earl for years. So even though it was a concept it was fully functioning and had some cool features like a rain sensor to put the roof up, even when you were away from the car. It also had an interesting fuel system running both alcohol and petrol. Way ahead of it's time it showed what could be done and a lot of the features made it to the road car. A fantastic example of beautiful motoring it would definitely turn heads today. Read more here about Harley J. Earl. Fascinating guy who put Buick on the map and created wonderful cars.